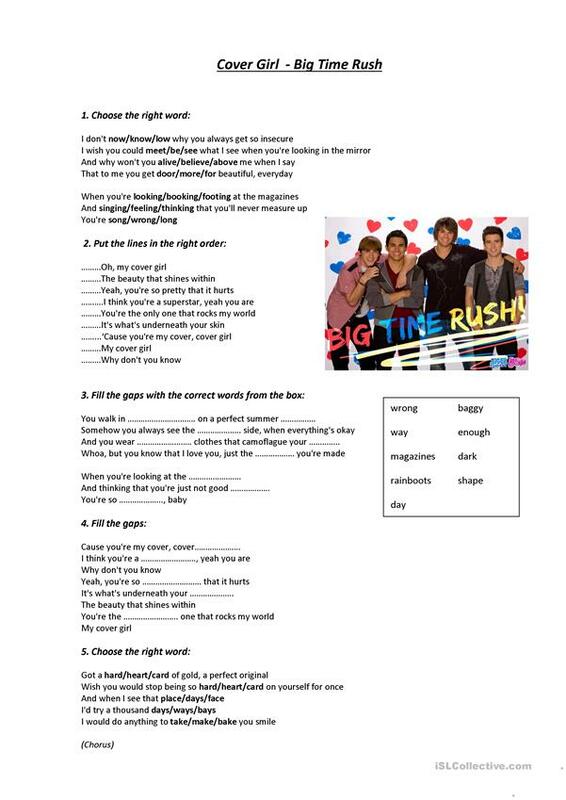 A song activity, for the fans of "Big Time Rush" TV series. I hope you like it! This printable, downloadable handout is meant for high school students, elementary school students and adults at Elementary (A1), Pre-intermediate (A2) and Intermediate (B1) level. It is a valuable material for strengthening your learners' Listening skills.